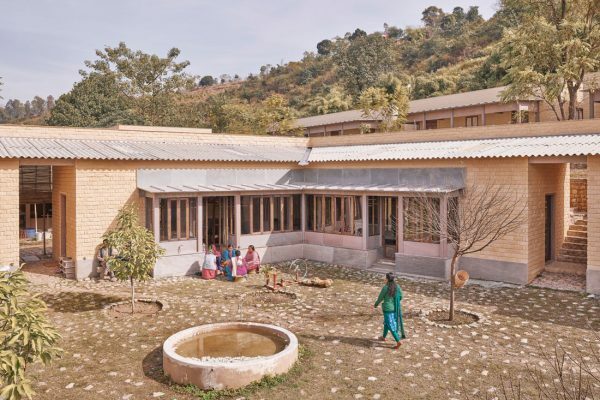 The Design Museum’s Beazley Designs Of The Year award has shortlisted 87 design projects across six categories. 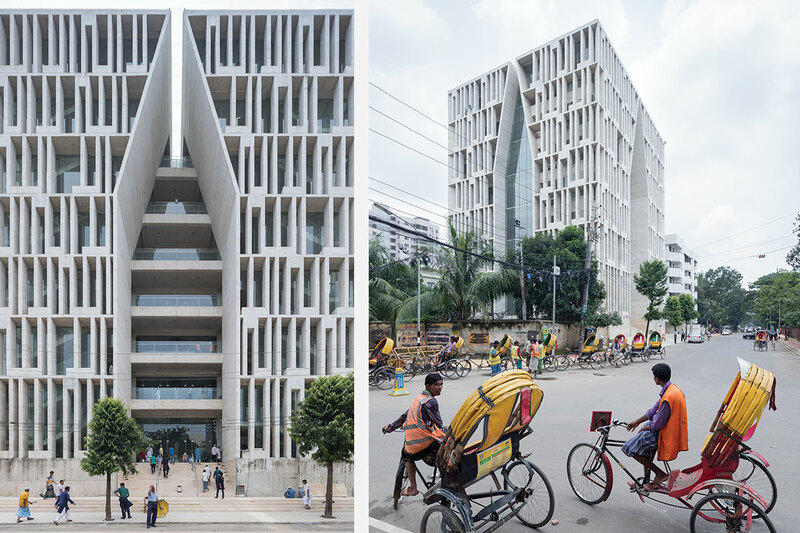 Here are eight projects in Asia nominated in the Architecture category. Every year since 2008 the Design Museum in London invites hundreds of design experts from around the world to nominate what they think are the most innovative designs from the past we months. 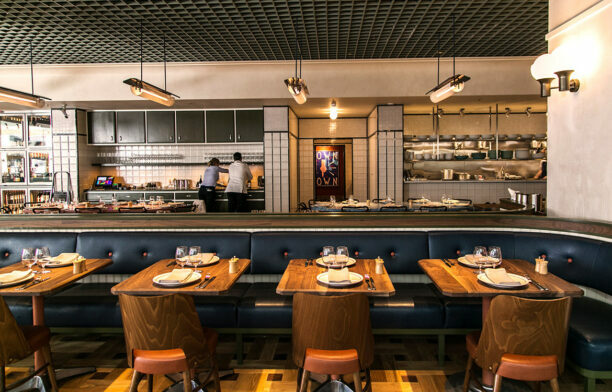 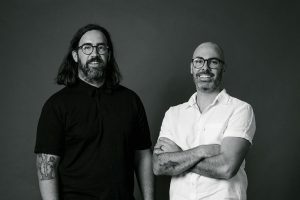 The nominated designs will be judged by a panel of distinguished jurors comprising design practitioners, critics and curators, and showcased in the Beazley Designs of the Year exhibition, which is named after the specialist insurance company who sponsors the annual event. 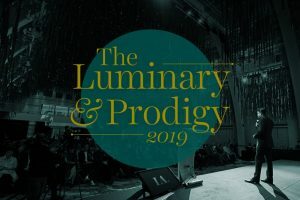 This year’s jury includes PriestmanGoode Chairman Paul Priestman, Jaguar Design Director Ian Callum, fashion designer Roksanda Ilinčić. 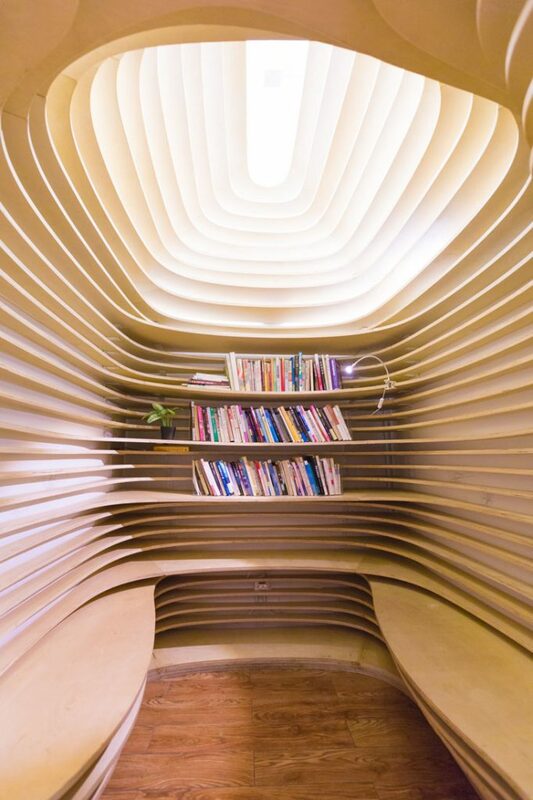 Zaha Hadid Architects senior associate Melodie Leung, industrial designer Tord Boontje and Virgin Group founding partner Robert Devereux. 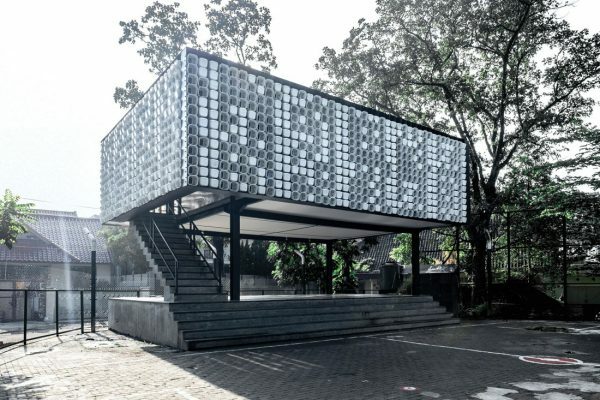 From the winning project of INDE.Awards 2018’s The Influencer category, Taman Bima microlibrary in Bandung was the first of a series of small libraries by SHAU to be constructed throughout Indonesia in an effort to improve the country’s literacy rate. 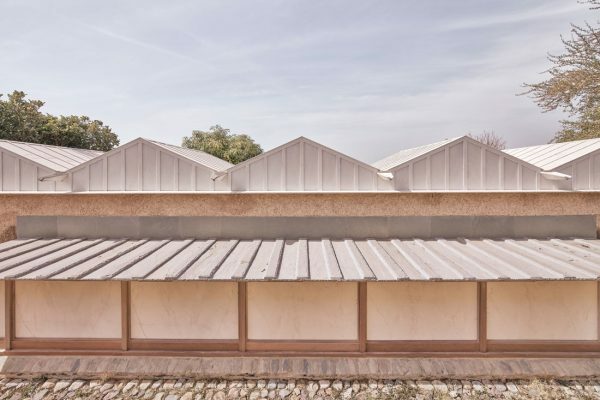 Situated in a small square, the building was constructed on a pre-existing stage, with a façade system of plastic ice-cream buckets inserted in metal frames. 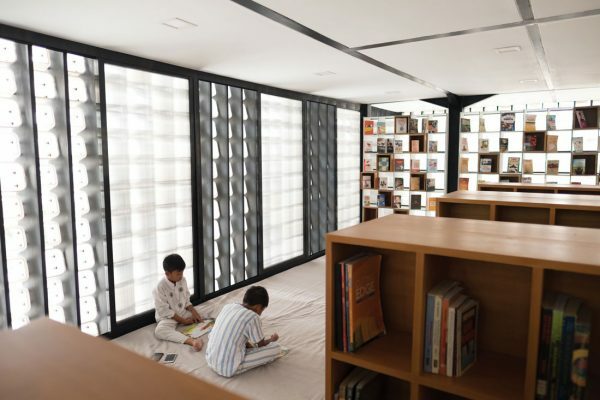 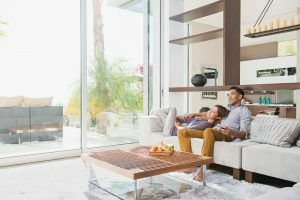 The buckets are readily available, cost-efficient, and easy to assemble while allowing for natural lighting and ventilation. 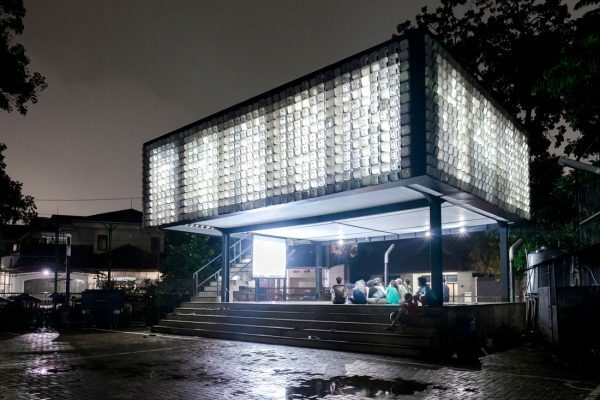 The pattern formed of the buckets is a binary code that translates to ‘buku adalah jendela dunia’ (Indonesian for ‘books are windows to the world’). 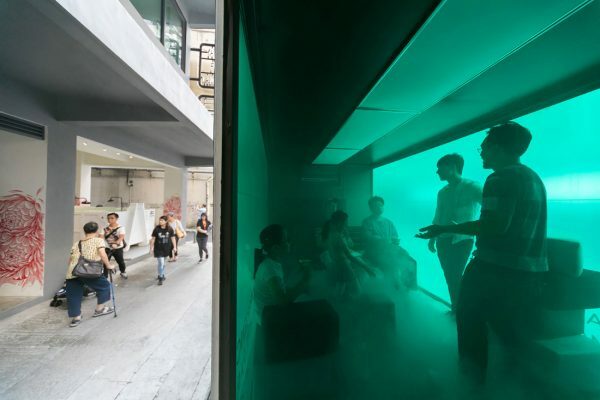 What is the future of the micro parks in Hong Kong? 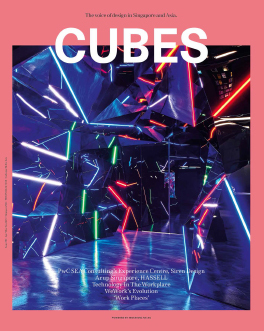 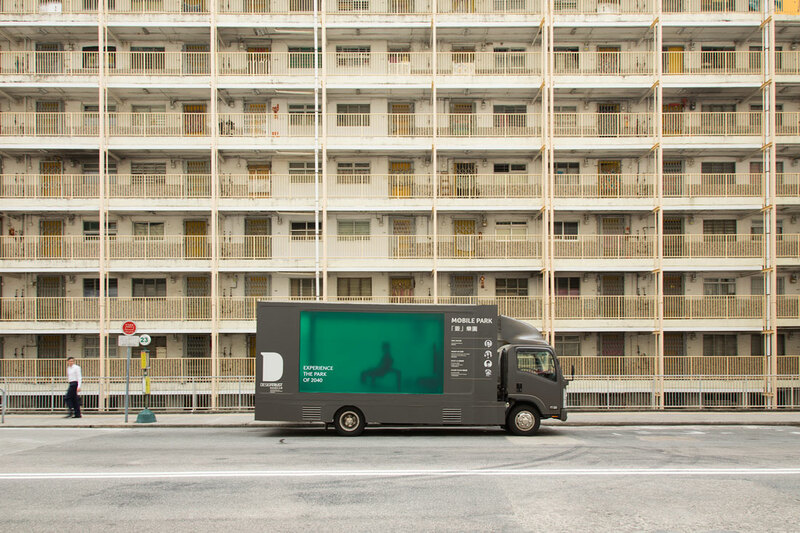 Cross-disciplinary initiative Design Trust Futures Studio launched Small is Meaningful, a research project that addresses Hong Kong’s severe shortage of public space by designing and implementing micro-park concepts across different neighbourhoods. 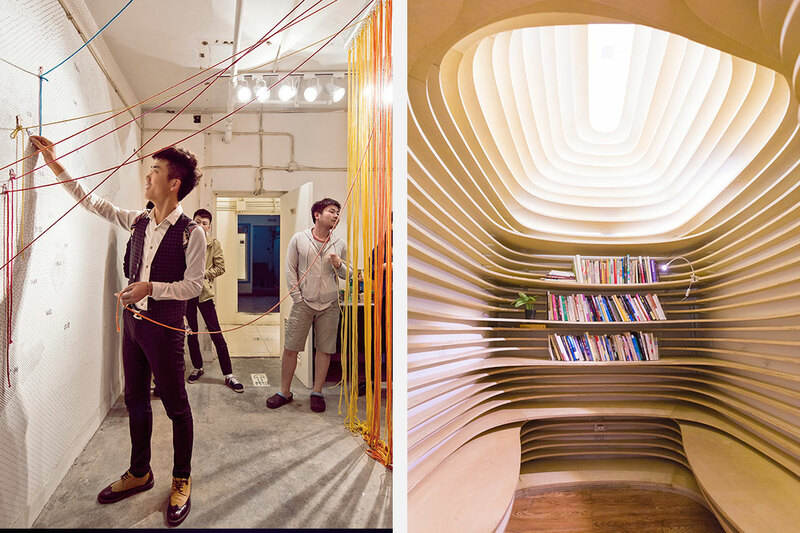 Executed by four mentor-mentee teams, the concepts included a series of portable public furniture, a skip transformed into a children’s playground and a mobile park built on the back of a truck. 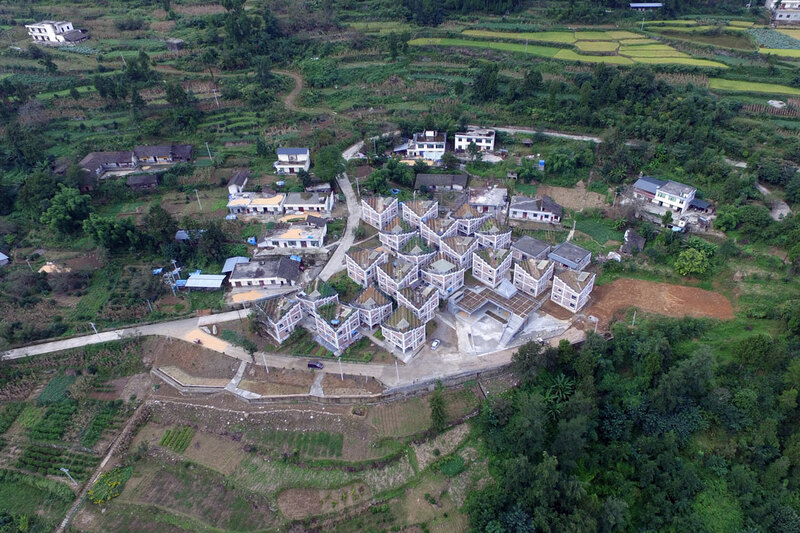 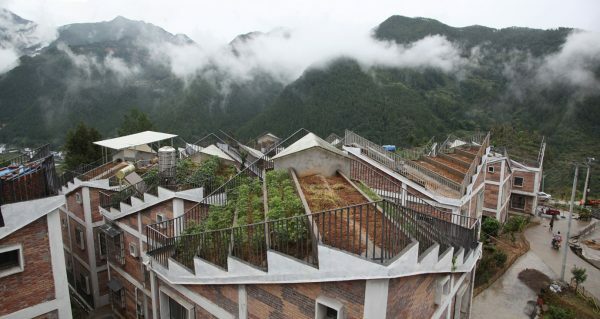 Sichuan province’s Jintai Village was almost entirely destroyed by an earthquake in 2008, and again by a major landslide in 2011. 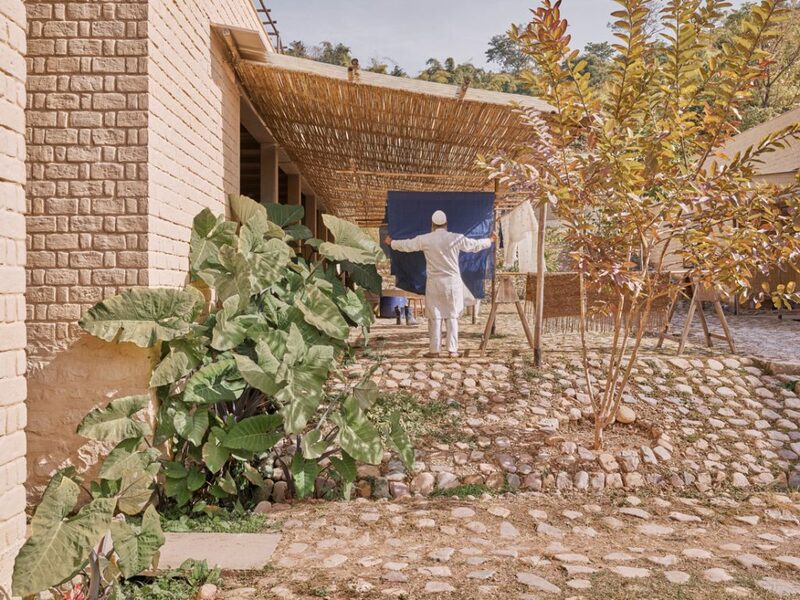 Research and design collaborative Rural Urban Framework has since been working with residents to rebuild their community in a way that encourages sustainability, resilience and self-sufficiency. 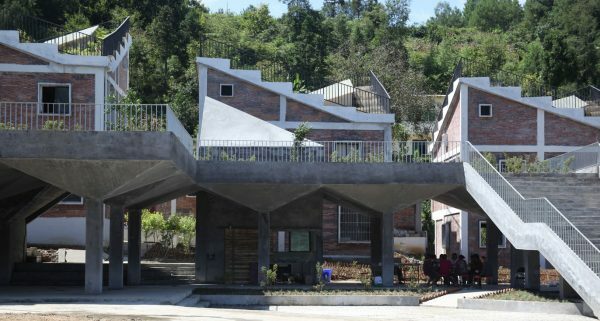 Densely arranged, the new village includes a community centre and twenty-two houses, of various sizes and configurations, that use local materials and incorporate rainwater harvesting, natural light and ventilation, and terraced roof gardens for collective and household farming. 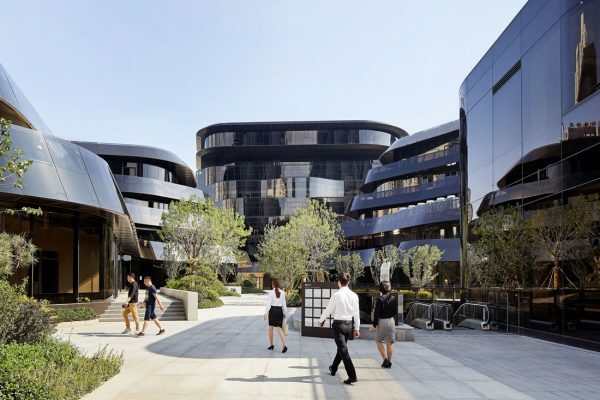 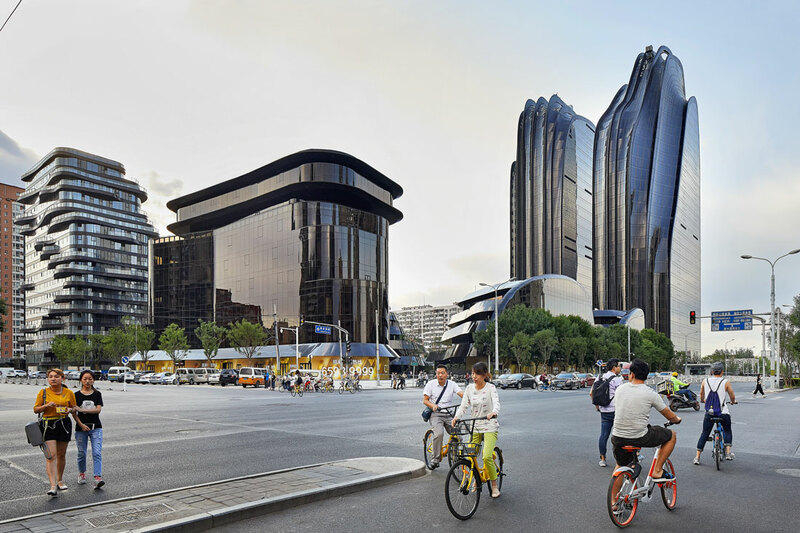 A 220,000 square metre office and retail complex of ten buildings situated on the southern edge of one of Beijing’s largest parks, MAD’s Chaoyang Park Plaza draws on classical Chinese gardens and shan shui landscape painting. 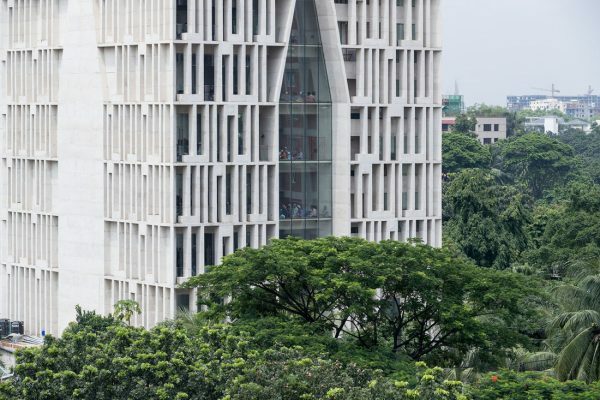 The LEED Gold project evokes the form of eroded mountains or rock formations, intentionally prompting a culturally specific blurring of the natural and artificial. 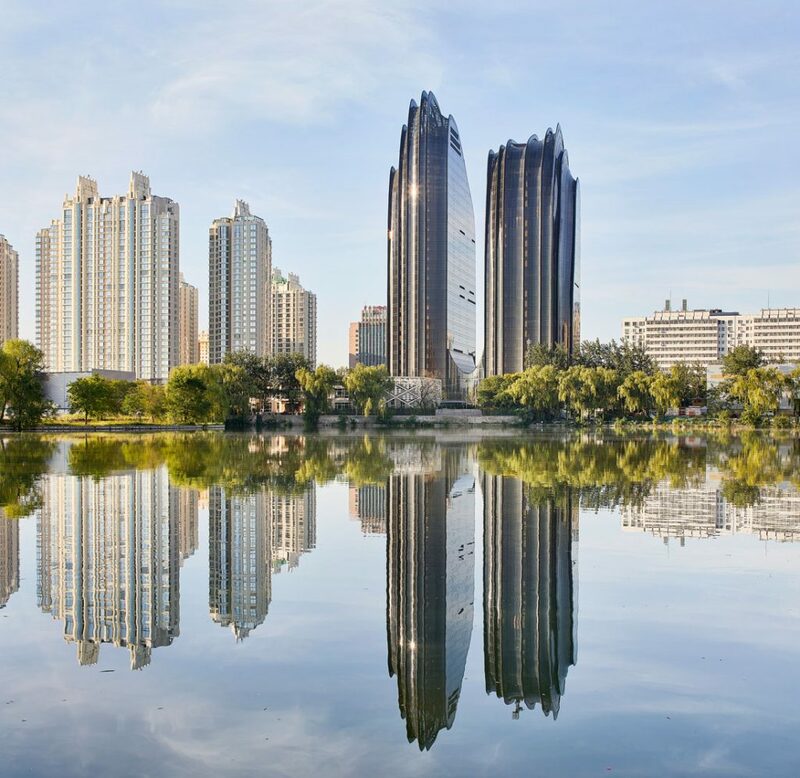 The tallest buildings’ vertical fins provide energy-efficient ventilation and filtration, while a pond at their base helps cool the complex’s interiors in summer. 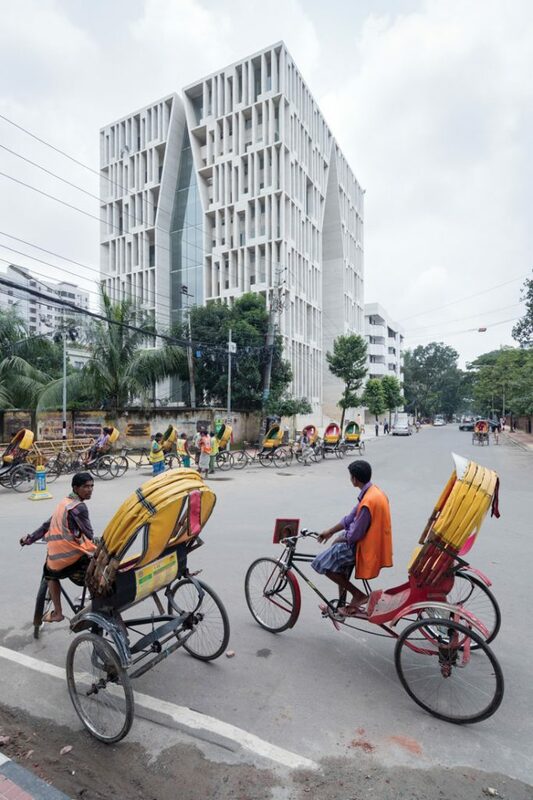 The Gulshan Society Mosque in Dhaka rethinks the layout of traditional mosque architecture by placing seven identical prayer halls stacked one on top of the other. 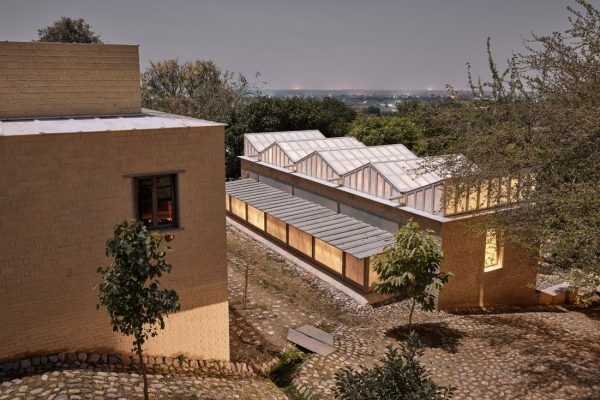 The project’s aim was to accommodate a large congregation on a small plot, while also providing an attractive landmark for the densely packed area. 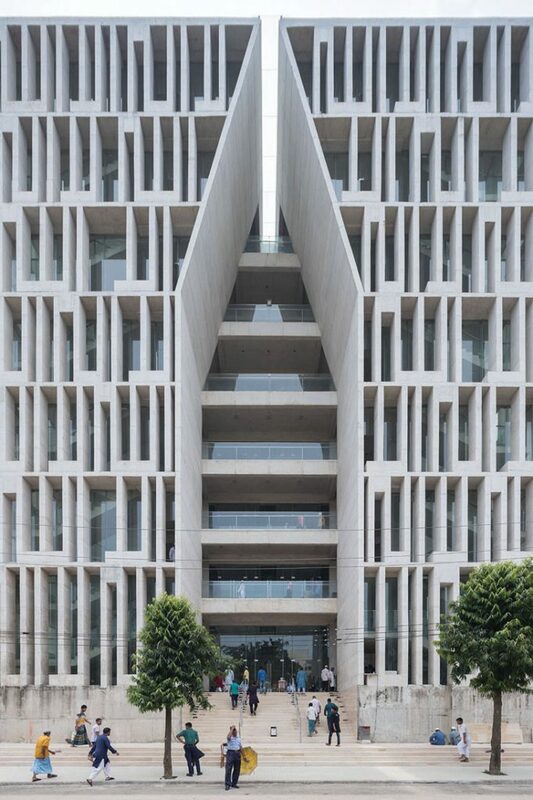 The building’s outer pattern is an abstraction of a prayer in Kufic script. 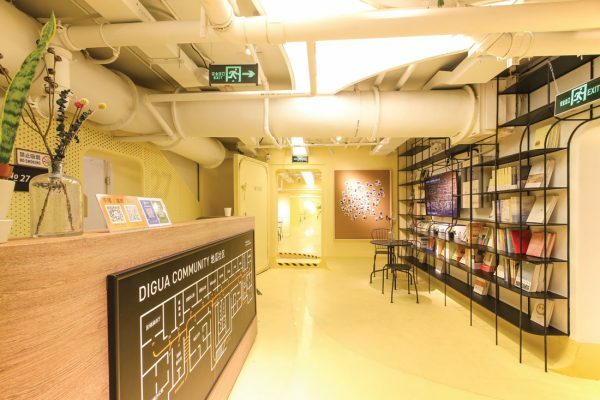 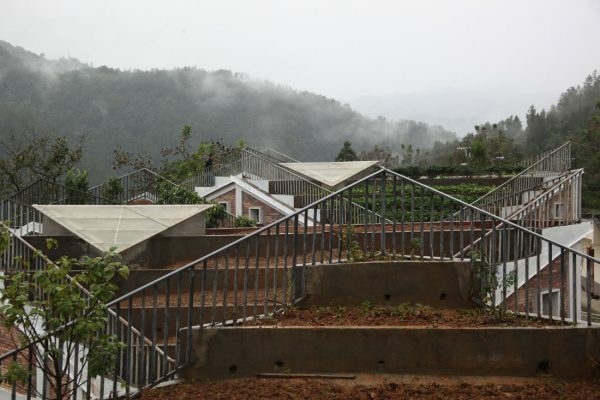 The Digua Community is a social design initiative transforming abandoned bomb shelters in Beijing into shared community facilities for gatherings, events, and other activities. 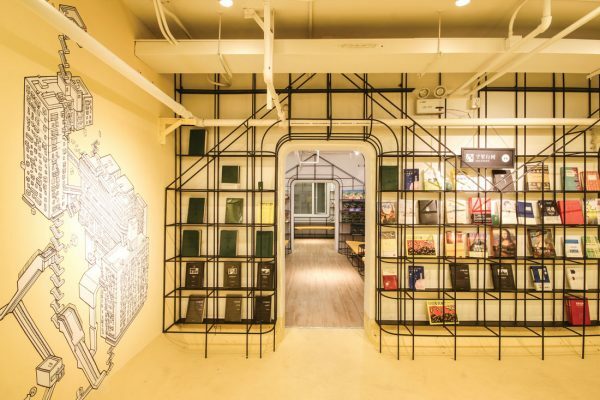 For its second project, realised in an underground shelter in the Jianxiyuan neighbourhood, area residents were invited to co-design the spaces, offering a rare opportunity in the Chinese capital for direct grassroots participation in local planning. 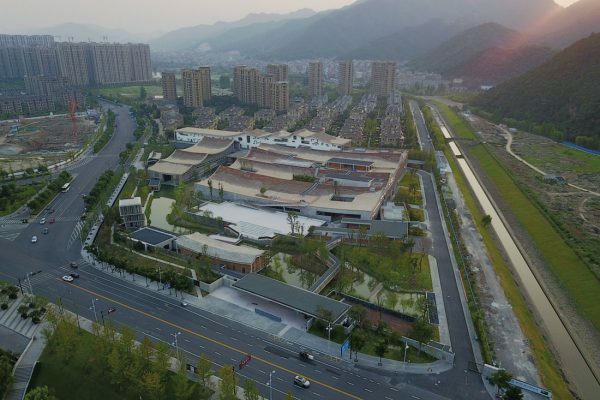 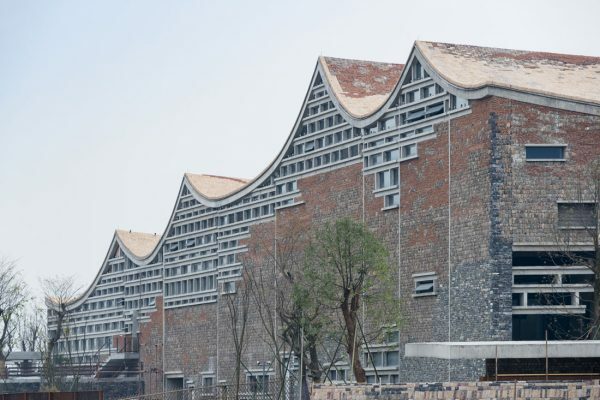 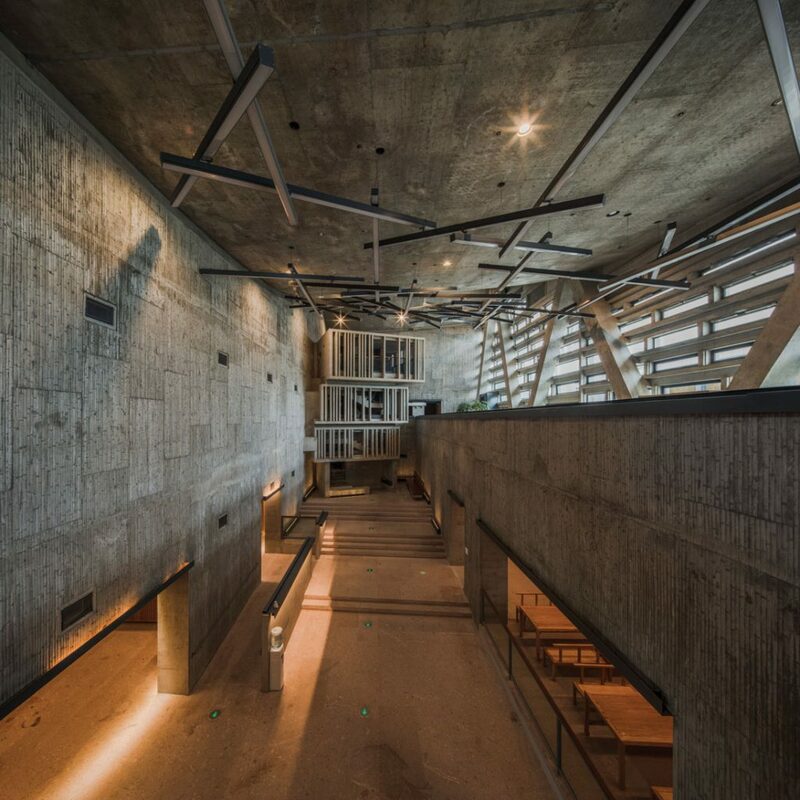 Pritzker laureate Wang Shu’s Fuyang Cultural Complex is a large-scale project outside Hangzhou that includes a history museum, gallery and archive. 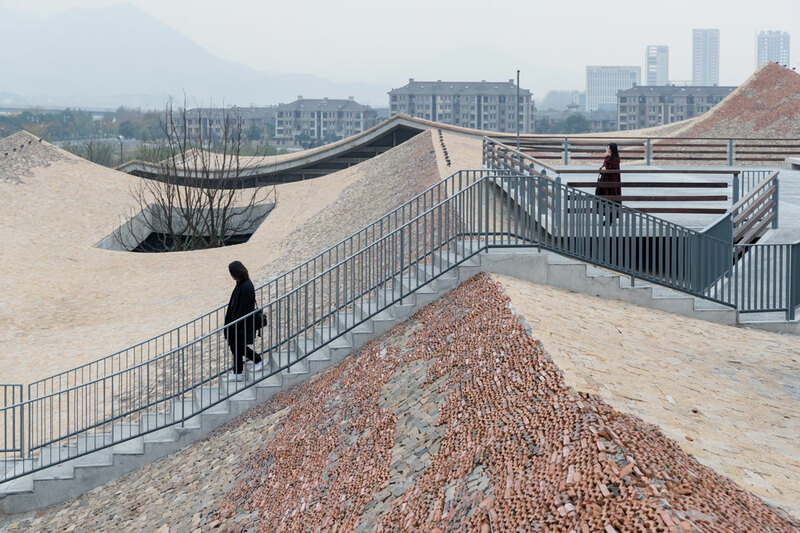 Incorporating Wang’s characteristic use of vernacular materials, forms, and spatial strategies drawn from Chinese gardens and landscape painting, the building features a dramatic, undulating roofscape where visitors can meander. 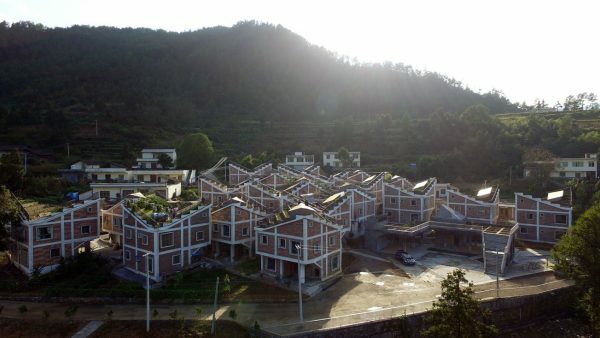 Rural revitalisation is one of Wang’s greatest concerns, and he accepted the commission only after the local government agreed to let him restore and rebuild a nearby village. 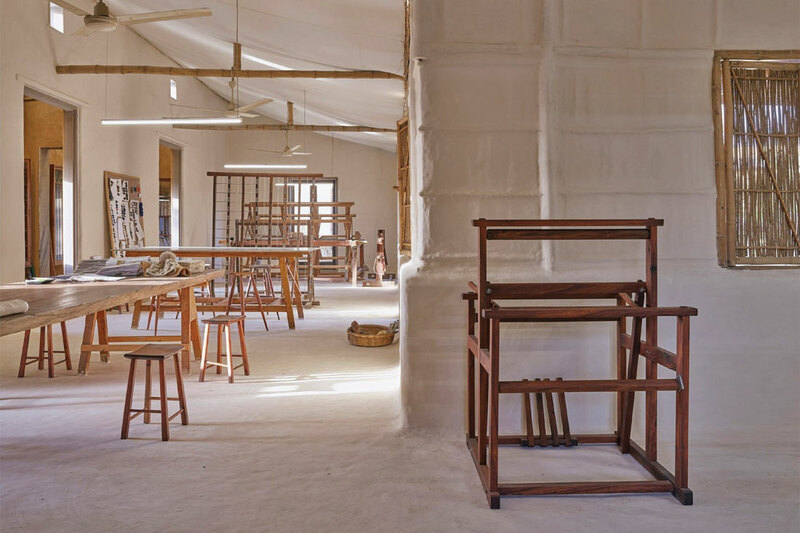 Ganga Maki is a textile studio run by Japanese designer Chiaki Maki in the foothills of the Himalayas in northern India. 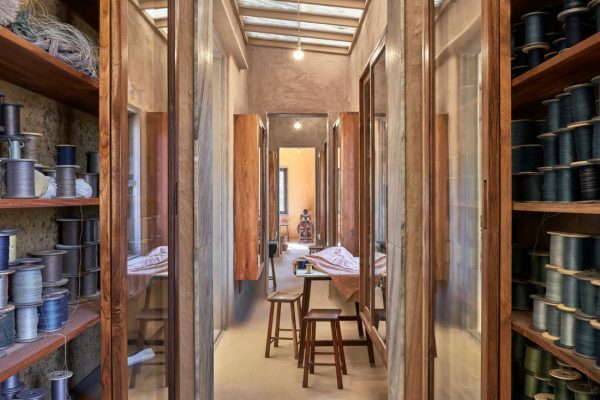 Designed by Bijoy Jain of Studio Mumbai, its new home consists of weaving and dying workshops, a gallery, housing and other facilities, all arranged around a central courtyard and constructed by local craftsmen of brick, lime, stone and bamboo. 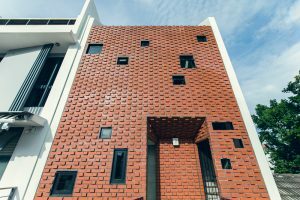 A winner will be selected in each category and one overall winner will be announced on 15 November 2018. 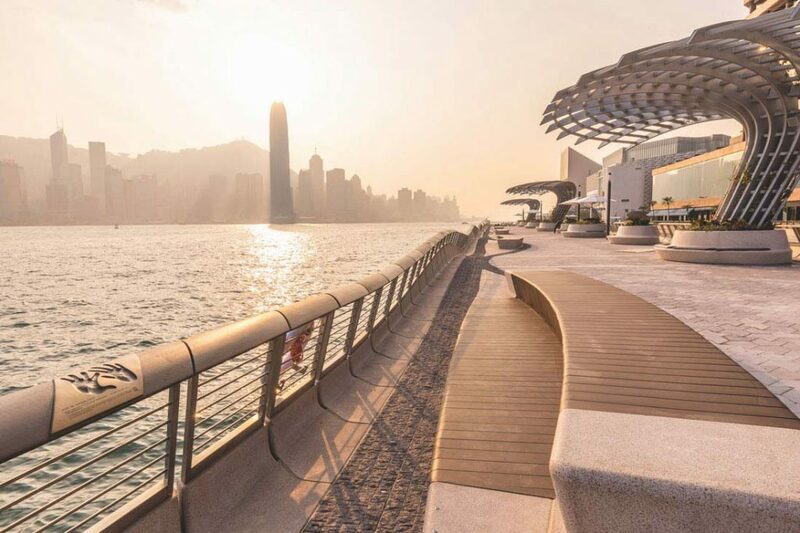 Beazley Designs of the Year exhibition will be on display from 12 September 2018 – 6 January 2019 at the Design Museum.